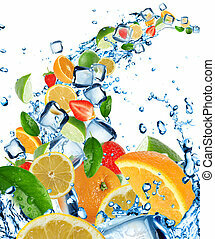 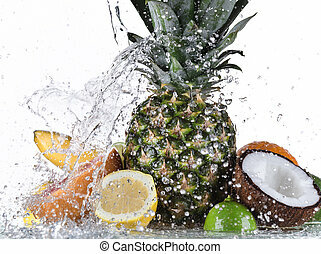 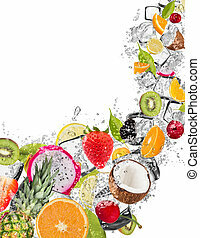 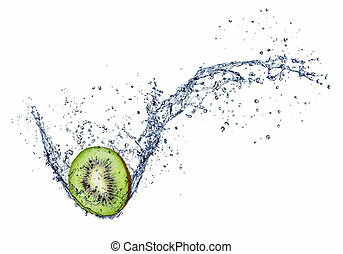 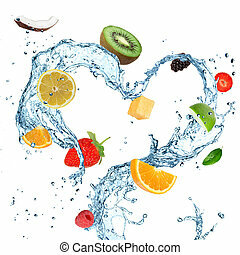 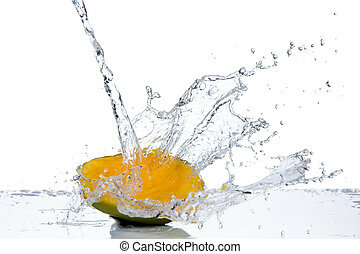 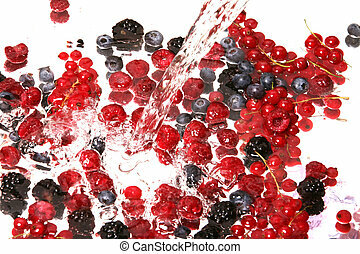 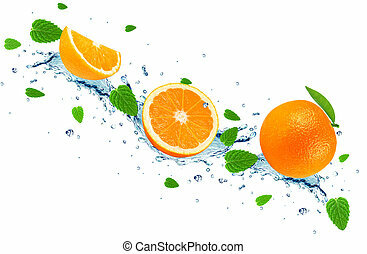 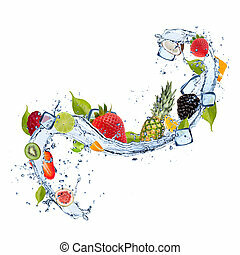 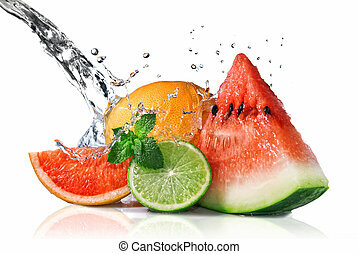 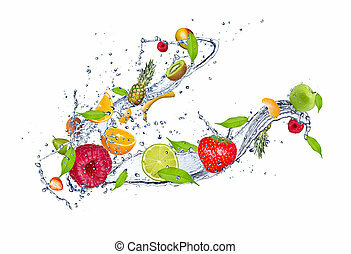 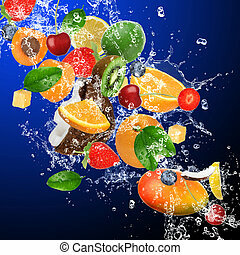 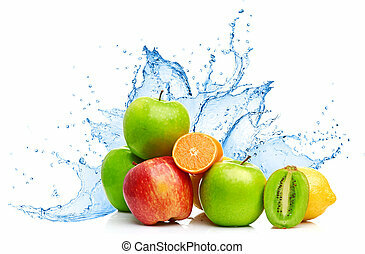 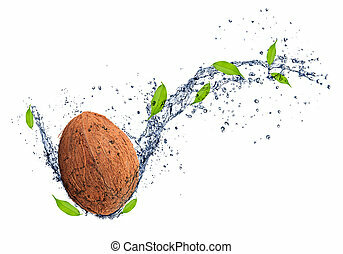 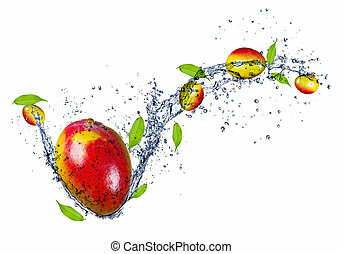 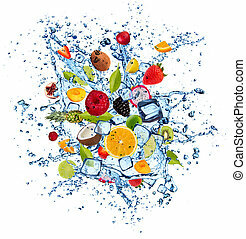 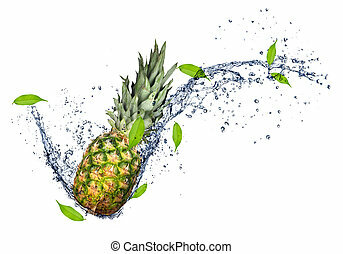 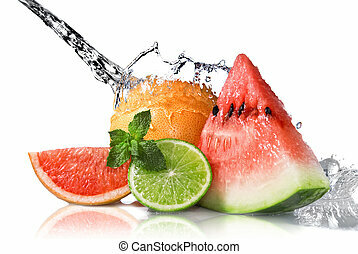 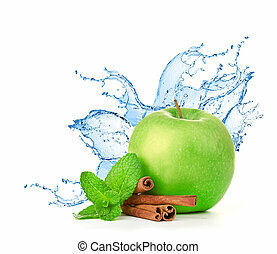 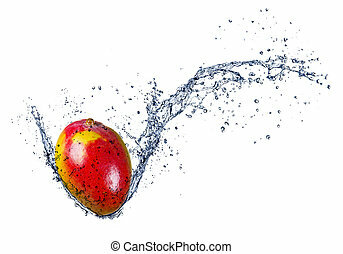 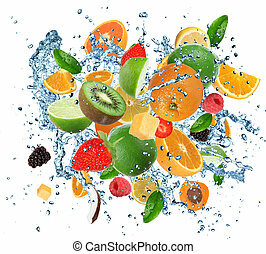 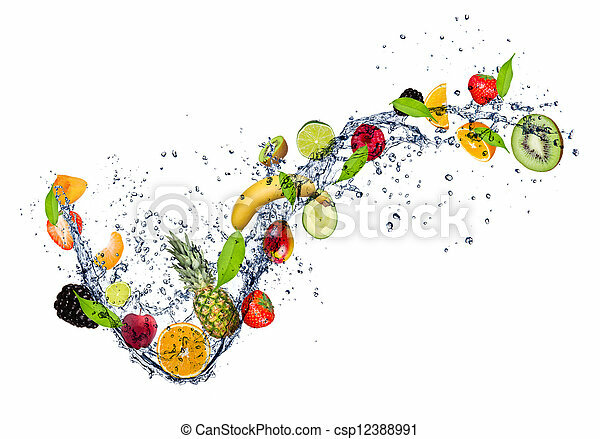 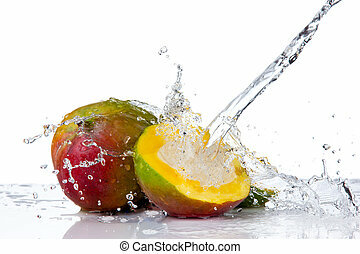 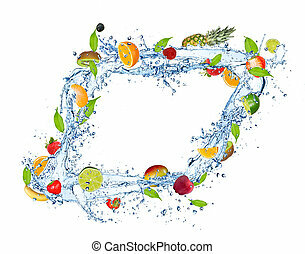 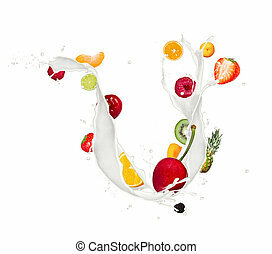 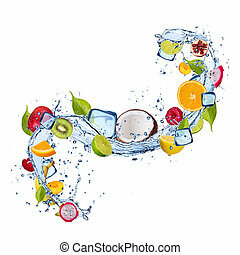 mix of fruit in water splash, isolated on white background. 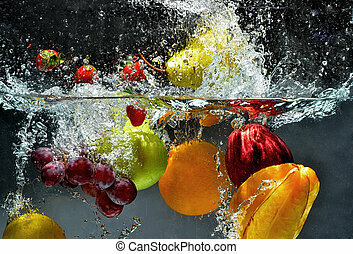 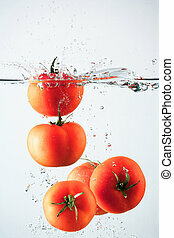 Fresh Fruit and Vegetables being shot as they submerged under water. 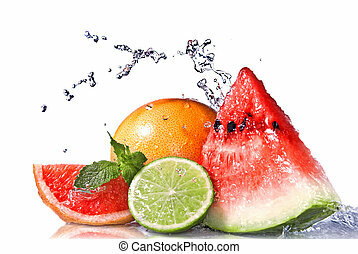 So fresh and delicious. 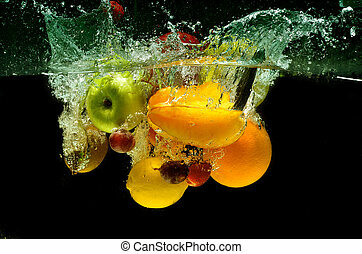 This idea can also be use to show washing food before being process further.